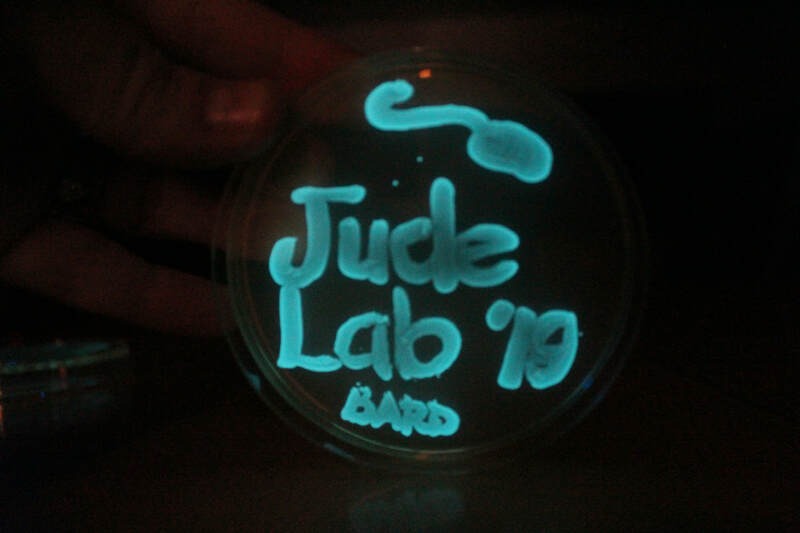 As a faculty member at Bard College, a liberal arts college in the Hudson Valley of New York, I am able to teach about what I love, microbiology and genetics, to students who love to learn. My research is focused on a group of local Hudson Valley aquatic microbes that produce violacein, a vivid purple pigment with antimicrobial properties. We are currently examining all aspects of these strains: where they reside, when they are prevalent, what their genomes look like, and what properties make these strains contributors to a healthy environment. We currently work on these projects in the classroom, in the research lab, during the summer months, and through outreach with local school districts. If you have more questions about what we do in the Jude Lab, please contact us! I currently have four students completing their senior project in my laboratory, and a number of students working on research projects within the lab. Alumni from the Jude Lab are now attending medical school, PhD programs in microbiology and science education, work as research assistants, have participated in Teach For America, and are doing amazing things!